LONDON (Reuters) - Double Olympic gold medalist Rebecca Adlington has called for a 'full-on investigation' into claims of widespread doping in Russian and Chinese swimming. The Times newspaper reported on Thursday that Chinese swimming was being investigated by the World Anti-Doping Agency (WADA) over claims by whistleblowers that five positive tests had been covered up before Olympic trials next month. It said two tests were believed to have been failed in October and the others at the turn of the year. WADA has already said it will be following up earlier claims in the newspaper of 'systematic drug use' in Russian swimming and had written to the sport's world body FINA. 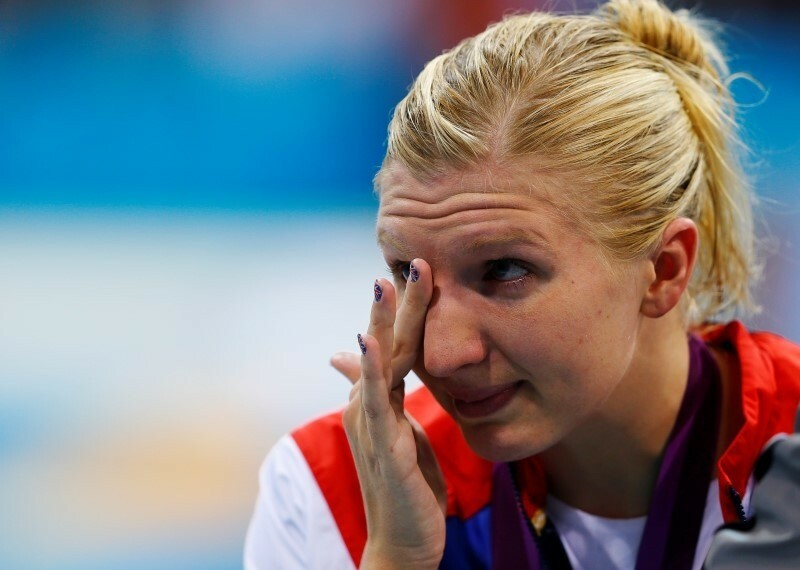 Adlington, who won the 400 and 800 meters freestyle titles at the 2008 Beijing Olympics, said swimmers at the Rio Games in August needed to be confident they were racing against 'clean' opponents. "This is a subject that, as a former athlete, I know all about," said the Briton, now retired from competitive swimming. "We know what it feels like to step up on your blocks at an Olympic Games and look sideways at the other swimmers in the next lanes and be thinking 'are you clean? Are you not? Is something going to come out afterwards? "Something has to happen," she added. "FINA and the organizers really have to go into it further and have a full-on investigation. That's the only way we are going to be able to say the sport is clean." FINA said in a statement on Tuesday that they had asked the Times to share any information with them. "Any new allegations of doping in our sport, which are substantiated by evidence and which have not already been addressed, will be investigated as a matter of utmost urgency," it added. "We have absolutely zero tolerance for the use of performance-enhancing substances in swimming." WADA president Craig Reedie said on Wednesday that the assertions of orchestrated doping in Russian swimming should be investigated. "WADA and its partners are under no illusions about the challenges facing sport’s integrity today," he said in a statement. "Clean athletes are justifiably concerned that their rights are being eroded through the minority that choose to dope in sport. "As a result of information and evidence collected, WADA will make an informed decision as to what form of inquiry is needed and who will conduct it." An official reached by telephone at the Chinese Swimming Association’s news office, who would not give his name, said he was unaware of the report.